I’m ecstatic to welcome you to my stop on the blog tour for Six Stories today! Orenda Books has a knack for publishing unique, fresh books under the umbrella of crime fiction and once again, I’m completely blown away by one of their books. 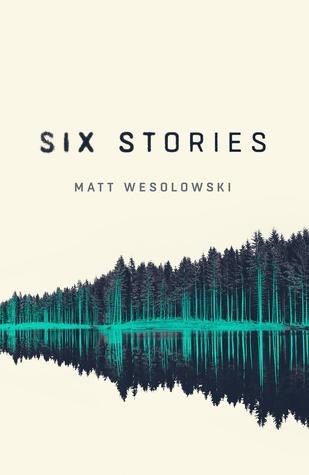 Six Stories is a wholly original, modern twist on a classic murder mystery. There are six distinct stories, six very easily distinguishable voices used in this podcast style book. Tom Jeffries was fifteen when he disappeared in 1996 and his body was found a year later. Twenty years later and Scott King, a podcast host decides to feature the story on his podcast. What happened the night he disappeared? Why did it take a year for his body to be discovered? And most importantly, who killed him? The format of this book really made it standout from the crowd for me. I loved the conversational style it provided, it really felt like I was listening to a true crime podcast. Wesolowski did a phenomenal job of giving each character a clear, unique voice and I couldn’t help but think the audiobook version of this must be superb. As my husband isn’t a reader I’m thinking we need to listen to it together, but I digress. As each podcast comes to a close, more truth is revealed, but more questions also arise. Who is actually reliable and trustworthy? Seeing as how the events in question occurred twenty years ago, everyone’s recollections are hazy at best making it all the more complicated to put all the puzzle pieces together. Everyone interviewed by King is directly involved in the case and they all add a new twist to things, leaving you to draw your own conclusions as to what to believe, or not to believe. As the layers are slowly peeled back, secrets are unveiled that finally shed light on what truly happened. This was an unsettling read, one that makes you feel like evil is lurking just around the corner, that leaves a pit of uneasiness in your stomach. Scarclaw Fell was hauntingly atmospheric and a ideal setting for such a tragic event. The whole thing was brilliantly, cleverly executed and a highly immersive read. You could feel the chill in the air, hear the sounds of the forest, see glimpses of the unknown skulking about. 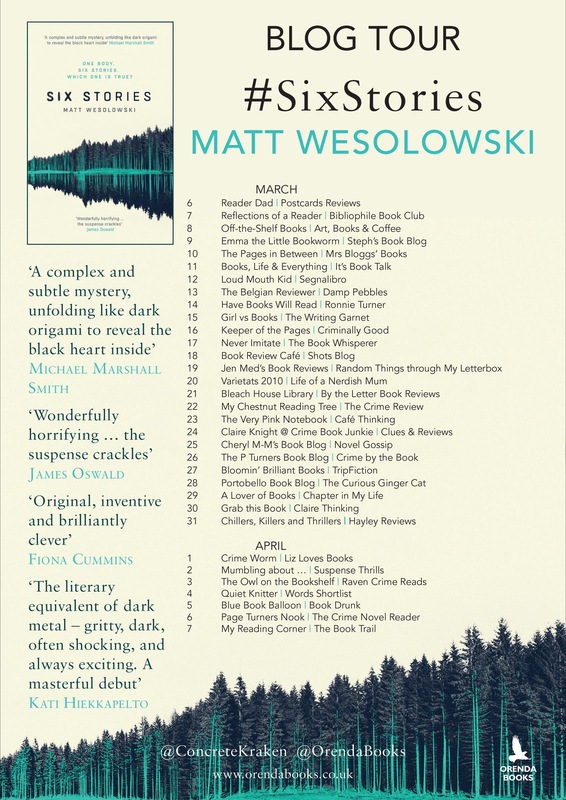 The ending was utterly perfect, I really can’t find fault with any aspect of this one and I’m praying that Wesolowski is currently working on his next book. Thanks to Karen at Orenda Books for my review copy. I loved this one as well!